Hello everyone! 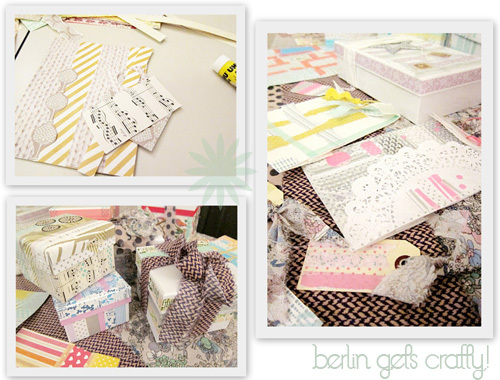 I was in Berlin again and now that I'm back home I want to share some highlights! 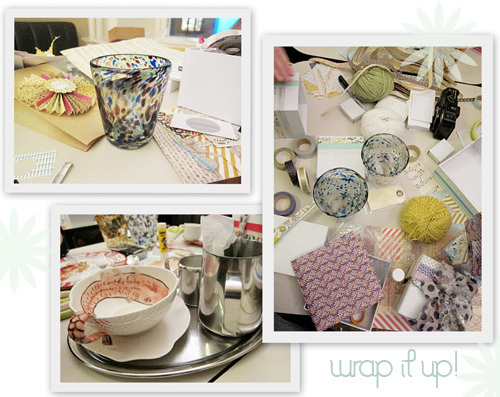 This time, I taught a gift wrapping class for Anthropologie at the amazing Barcomi's cafe where they had a "pop up cafe" this week to celebrate the launch of their new German online shop. I was able to chat briefly with owner, author and baking queen Cynthia Barcomi (a highlight!) before I got started and then, my students arrived and we made pretty and inspiring gift packaging and tags using torn fabric, masking tape, decorative papers, maps, paper punches, rubber stamps, cocktail napkins, lace, yarn, etc. Below is a photo of me with my dear students (I'm in the center in green). There were 8 of us, but a few others joined in like my friend Sandra Juto and fashion blogger Camilla along with Jana and Massimiliano, so there were 13 of us total and it was such a fun bunch! On the table you can see all of the things that we made. 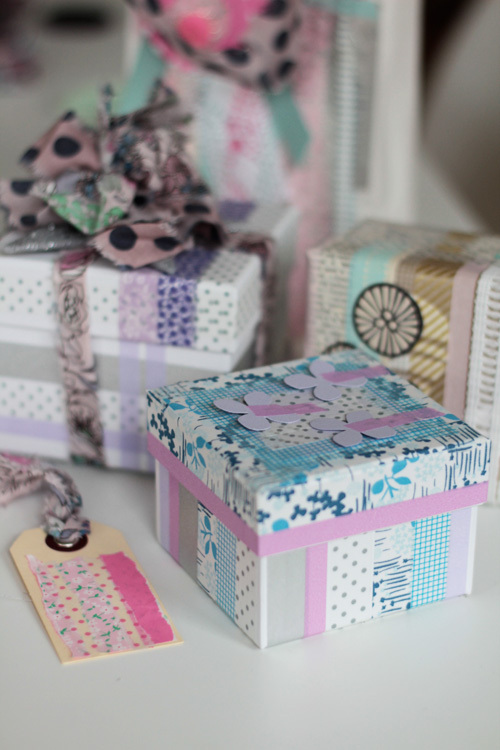 Each student made 4 projects, some did 5 -- a box, a gift tag, a lunch bag and a sheet of patchwork paper. 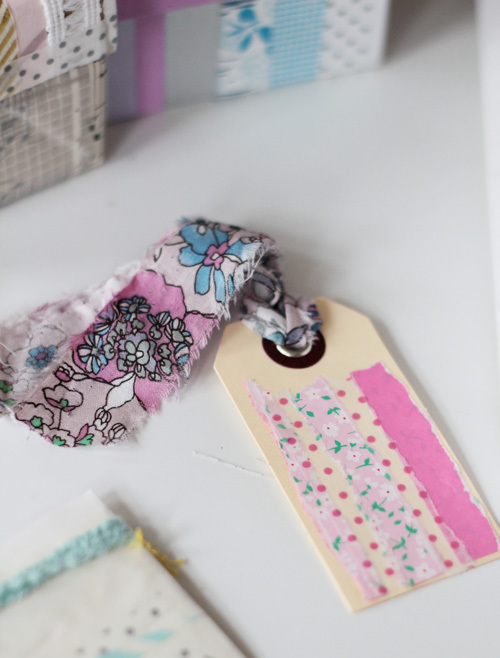 The patchwork "quilted" paper ideas was one that I learned from my dear friend Leslie Shewring that she taught in her washi tape class in St. Paul this past Fall at The Creative Connection event. I can't take any credit for that idea but Leslie told me I could teach them how to do it so I did and they had a good time making their patchwork sheet of wrapping paper. Above you can see me with Anna Sterntaler, Simone Haffner, Annie Raymond, Toni, Ursula Markgraf, Julianne, Anja, Urszula Lotysz-Bossart. 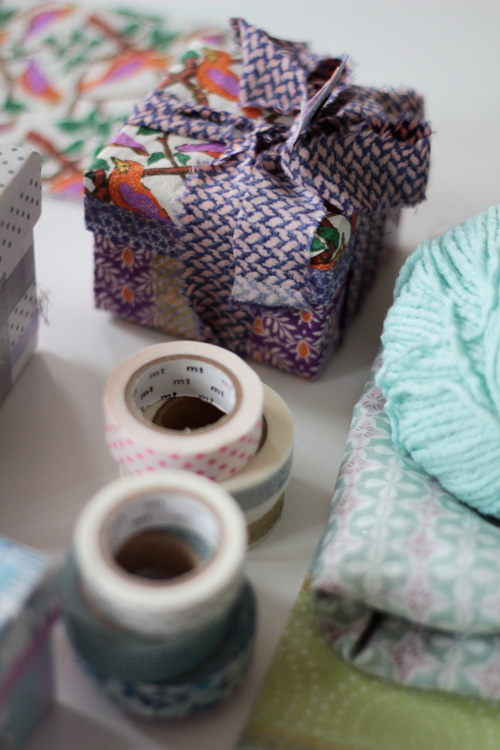 My idea was to show them how to make gifts look pretty without always running out to the store for the typical roll of wrapping paper and pre-made bows and tags and so I taught them how to create beautiful gifts using what they may already have at home. I thought this was very much a part of the Anthropologie way of thinking as well -- to be creative with what you already have because Anthro is known to be such an inspiring place to shop since they're very creative with their own store displays using random objects to create gorgeous installations. Here are some pictures of the things that I made. I used basic white boxes from a discount store and applied tapes, papers, torn fabrics and even cocktail napkins to decorate them. In Germany, white paper bags are everywhere right now for Advent so I used them to decorate as well. I told students that these bags are great for giving baked goods - just wrap cookies or chocolates and place inside with a sheet of pretty tissue paper or shredded paper. I naturally went with my soft color palette with a punch of hot pink or turquoise. 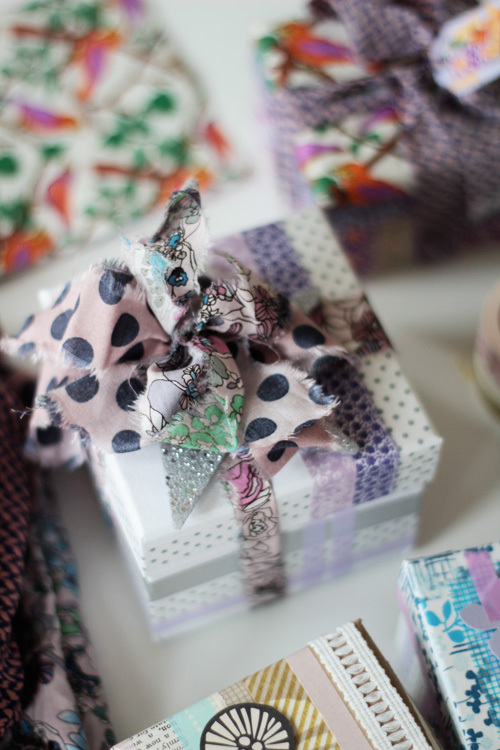 I think it's important to go with what your instinct tells you and wrap gifts in a way that not only reflects your personal style but that shows the recipient that you thought of them in a special way and made the outside look just as nice as the gift waiting within. 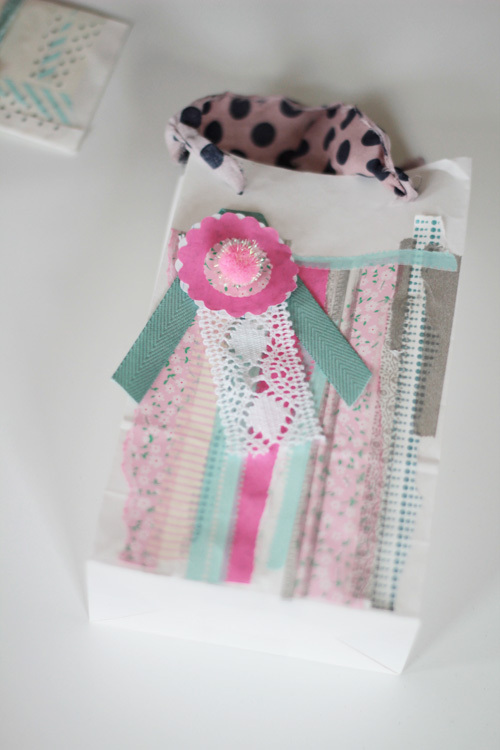 The gift above was topped with torn fabrics as ribbon and a silver star. 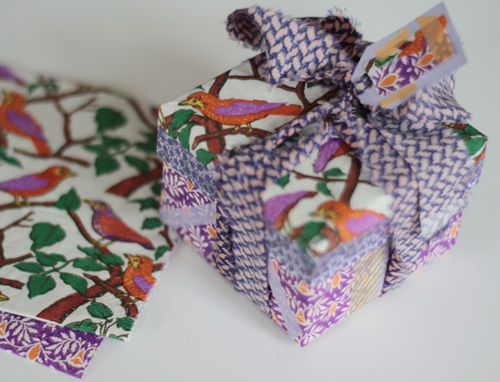 The box above in purple and orange was wrapped using two cocktail napkins. One for the bottom, the other for the top, in two different patterns to add interest. 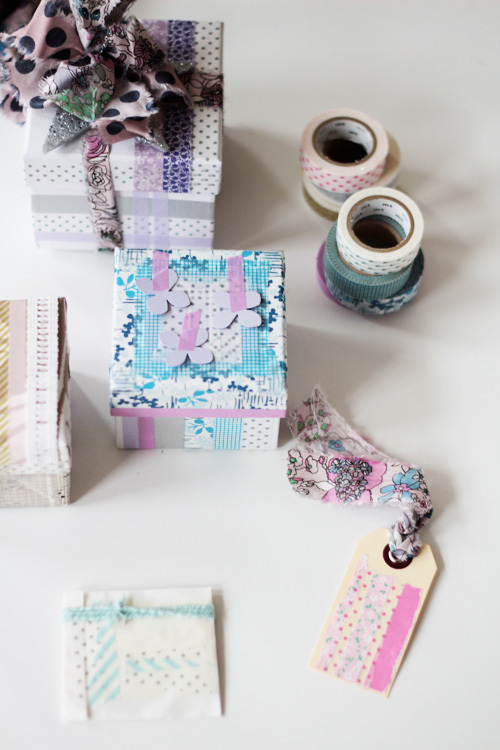 If the cocktail napkin doesn't cover the box entirely, that's okay -- you can trim it out with tapes, found papers and ribbons and it will look great! I had such a great time, thank you to Massimiliano (Grazie mille!) for helping organize everything and for my students (Danke schön!) 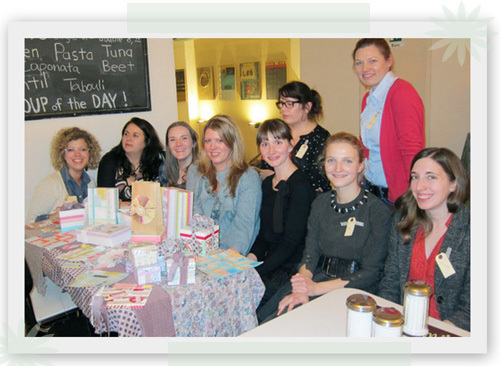 for joining me and Anthropologie at Barcomi's for a crafty class!